Diction of 189gt was built Richard Dunston in Hessle in 1963 as a motor lighter, powered by a kelvin T6, 180 horse power with hydraulic reversing gearbox, both engine and gear box have been replaced a few years ago. She was designed to carry 3 crew, skipper/engineer, mate and an able seaman, and plied her trade around the Thames estuary and across to the continent designed to load cargo even with the tide out, and on many berths simply sat on the bottom to load or discharge. Diction was built for crescent shipping who had a fleet of similar vessels, including a sister ship which has sadly been scrapped. 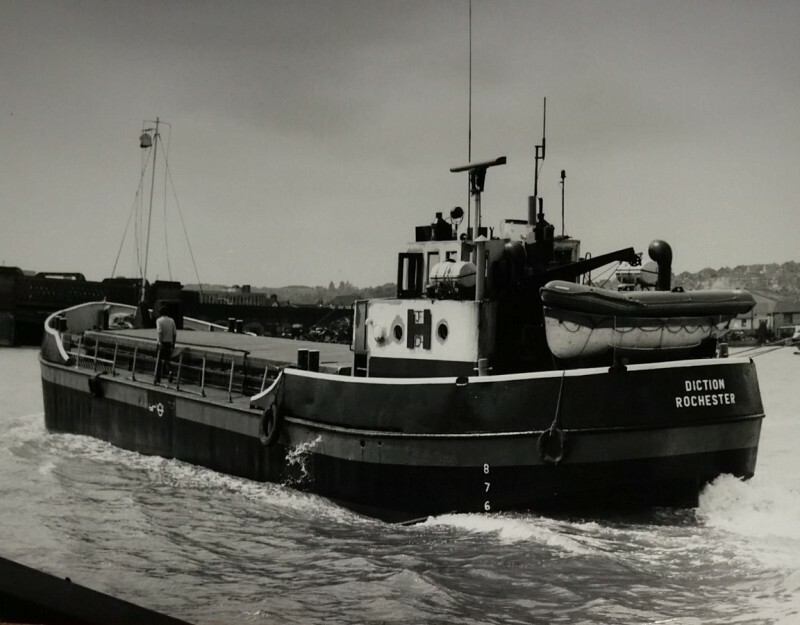 In 1984 she was brought and converted into a seaweed dredger and was based in Cornwall, but due to environment changes dredging was ceased and and diction was laid up, the then owner decided to convert her to a floating office , whereby the dredge gear was removed deck plating in front of the bridge was renewed and the hold coamings had uprights fitted then the hold was roof/deck fitted, the hold it self was shot blasted then painted with two pack primer then the whole was sprayed with foam insulation. 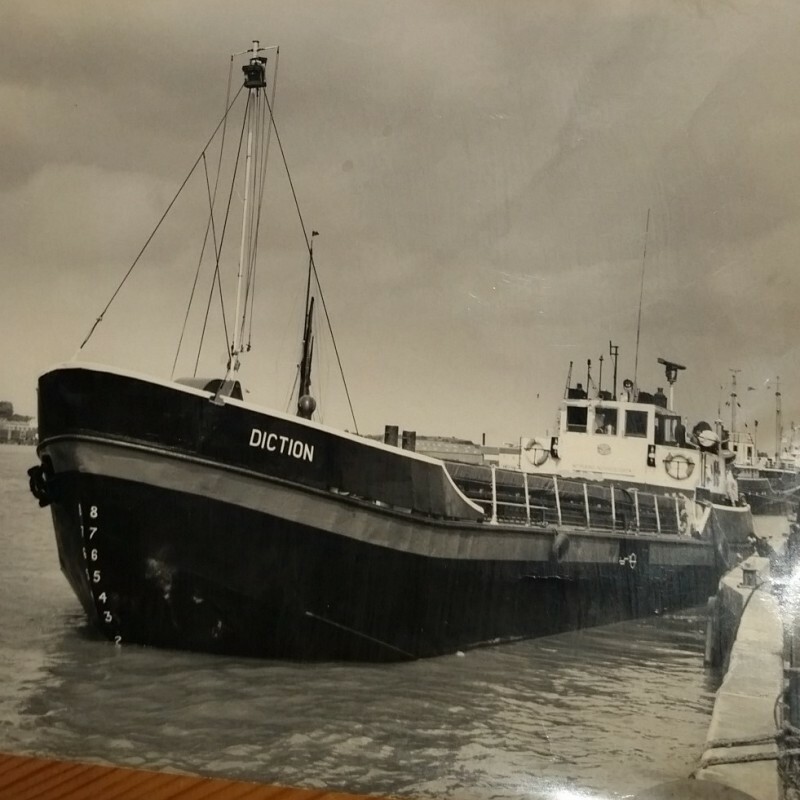 I have had the pleasure of knowing and meeting one or two ex crew members of diction when she plied her trade, and when she was delivered to Truro, if you have any info or pictures you would like to share please contact us. Also it is our intention to keep ship like even though it is our home. who brought the vessel from Cressent shipping, in the 1970’s. 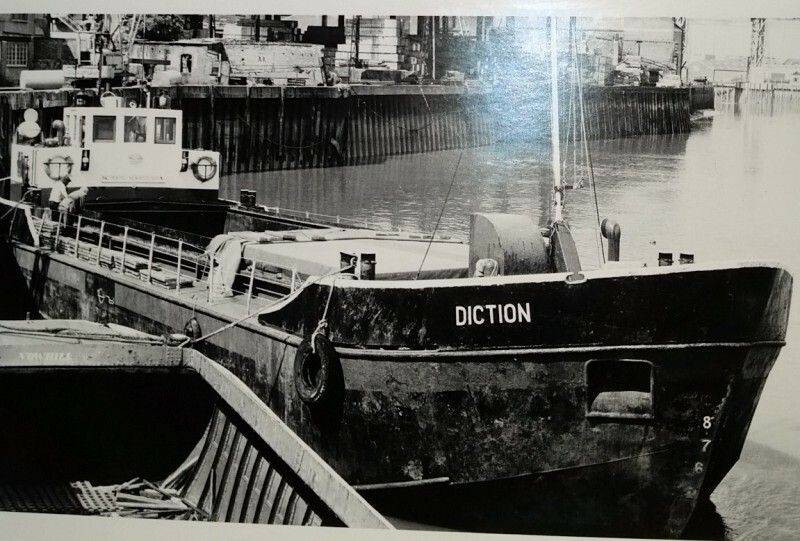 Diction was purchased from crescent shipping in the 1970’s afraid dont have any exact dates. She was bought to replace 2 converted wooden sailing barges used as magazines for commercial and military explosives on the thames. Her hold was completely covered in marine ply to avoid any chance of combustion during loading /discharging etc. Loading cargoes ex nobel explosives own coaster she would hold the goods to tranship to vessels leaving london to all over the world at chapman anchorage off canvey island.vessels could not have anything explosive onboard in docks hence her purpose. Eventually shipping methods changed and containerisation eventually rendered this method redundant. She made many trips to falmouth to discharge to vessels returning to london with aggregate roadstone. Even went up the rhine on one occasion almost to basle . Was used by the hse to trial container lifting onto a conventional vessel in london. Like digging her own grave. During her career she has carried just about everything mainly sand and aggregates for crescent shipping and various export cargoes for us other than previously mentioned. I am searching for photos which are somewhere in the loft and if I find will send on. With us and it was sad to see her go. Ironically cornish calcified seaweed bought her and I have watched her working in falmouth. Sold in 1984 when no longer required. Pictures supplied by John Darling, who i look foreward to meeting in the near future. 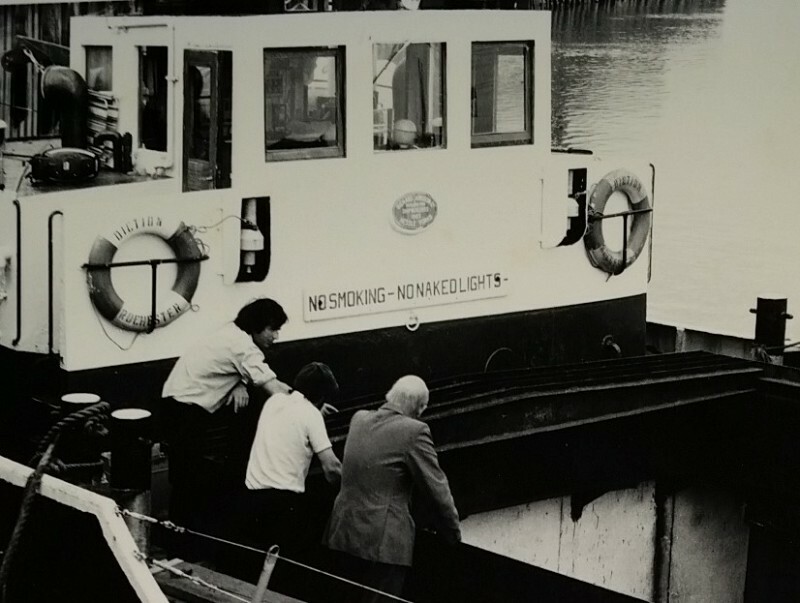 Click on this link to veiw old Pathe film of the Diction running down the river thames in 1969, the video is a little quick i surgest you click on the settings gear wheel button and adjust the speed to half or a quarter.